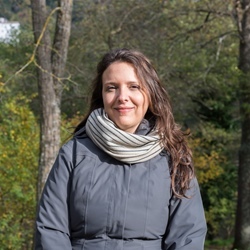 Luciana Squadrilli introduces us to some of the dishes, ingredients and culinary customs enjoyed throughout Italy to commemorate the arrival of spring. Spring has finally arrived in Italy – bringing with it sunny, longer days – and its delicious produce is finding its way onto our tables and into the kitchen. The fresh and delicate flavours result in some fantastic recipes, and green is definitely the colour of the season, along with white and red – just like the Italian flag. 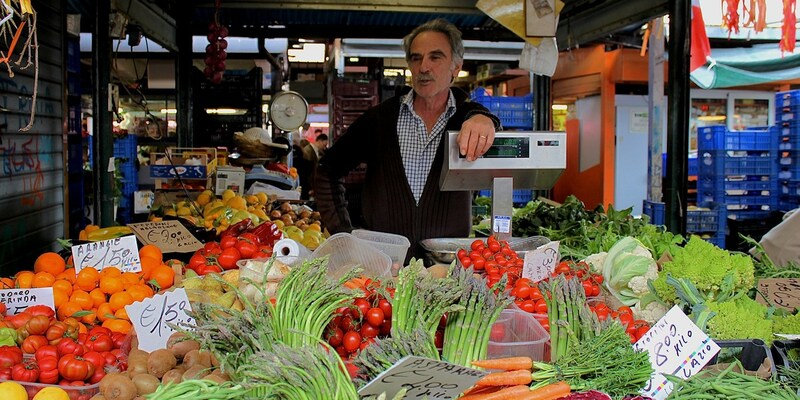 A walk to the market instantly reveals spring's key players – artichokes (at least some varieties), peas, broad beans and asparagus are shown off on the stalls, often arranged in choreographic ways. 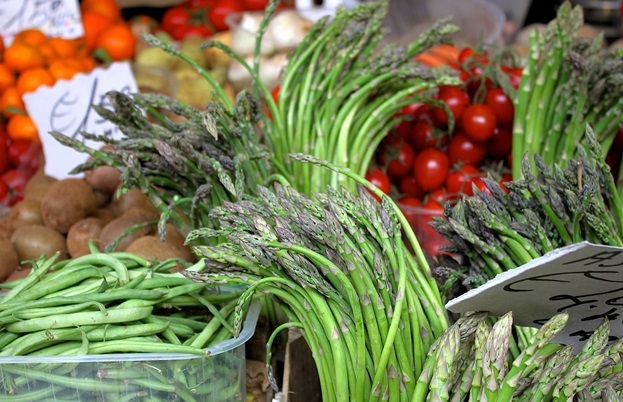 Spring onions – both the white and purple kind – add their flavours to seasonal recipes, while a range of wild herbs and greens such as borage, cress, wild chicory, edible burdock and other oddly named local varieties turn salads and contorni (what we usually call side dishes in Italy) into wonderful, flavourful things. Each of these ingredients can be cooked and eaten on their own, or they can combine together in all sorts of traditional regional dishes. In Lazio, vignarola is a traditional spring vegetable soup made with spring onions, artichokes, broad beans and peas, with some thinly sliced pancetta or guanciale to contrast with the sweetness of the vegetables. The soup – whose name supposedly comes from the fact that these vegetables once grew in between the grape vines – is usually served warm with bread. Nowadays many cooks also create a ‘dry’ version of it to prepare a tasty pasta dish, often enriched with grated Pecorino. In Tuscany, garmugia is a similar recipe typical of the city of Lucca, yet richer. Once recommended to pregnant women and new mothers, it also includes asparagus and minced veal. Its name is said to come from the word germoglio (sprout), referring to the delicate, fresh vegetables used to prepare it, grown in the city's orchards. In Abruzzo, the city of Teramo has a slightly unusual traditional dish – the Virtù (virtues). Usually eaten on 1 May, it is a soup made of fresh and dry legumes, seasonal vegetables, wild herbs, different kinds of pasta and pretty much every cut of pork, including ears and trotters. This dish is usually cooked in huge quantities and shared with relatives, friends and neighbours, to commemorate the habit of cooking a rich meal for the whole local community using everything left over from the winter larder and the new spring produce. 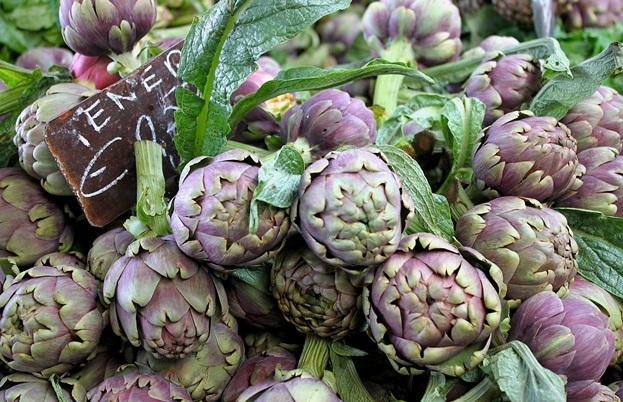 In Italy there are many varieties of artichokes with different seasons, but spring is definitely the best time to eat the delicious Mammole, as the local IGP protected artichokes are called in Rome and throughout Lazio. Mammole are big, round artichokes; tender and with no spurs, they are perfect in vignarolabut also the tasty carciofi alla matticella, as they are famously cooked in the Velletri area near Rome. The whole, cleaned artichokes are seasoned with fresh garlic, salt, extra virgin olive oil and Roman mint (lesser calamint or field balm) and then cooked on top of a fire made from matticelle; small bundles made of trimmed vines. From the precious large white asparagus typical of northern Italy to the skinny and super tasty wild ones growing in the central Italian countryside, spring is definitely the season for this delicious vegetable. They are eaten all over Italy in different ways but are mostly used to make wonderful risottos or omelettes. Eggs and cheese (especially fried eggs with grated Parmesan) are their best friends. The delicate and fresh tasting fruits of these green pods – which aren’t actually true beans – are a symbol of spring in Italy. Usually eaten raw, maybe accompanied by a tasty Pecorino cheese, matured ricotta or pancetta, they are a staple of the first picnics of the year. They’re also very good cooked and added to soups or pasta, or simply sautéed with guanciale. In Puglia, people also eat sporchia (broomrape), an herbaceous plant that grows near broad beans which resembles asparagus and has a bitter, astringent taste. 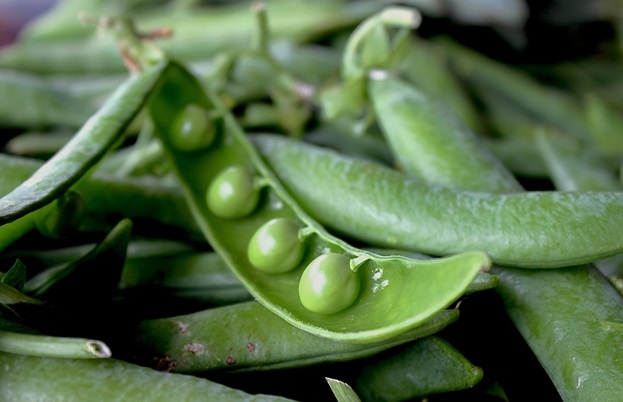 The sweetest of spring's produce, peas are used similarly to broad beans (yet always cooked) and are a common ingredient in pasta or rice dishes (such as the Venetian risi e bisi). Many people also use the thin and delicate pods to make vegetable broth or delicious creams and mashes. A dash of colour amongst the green and white on the market's stalls in spring, Italian radishes have a round shape and a brilliant crimson colour. 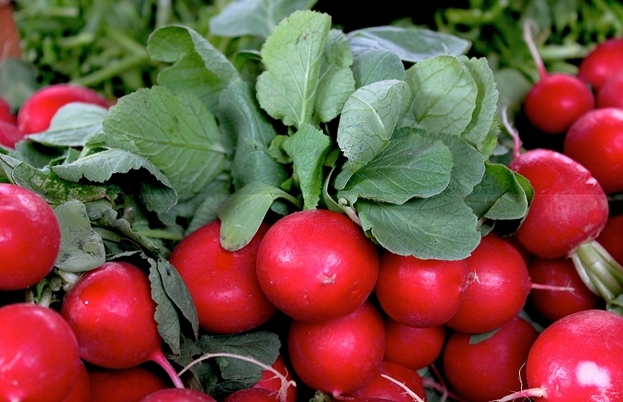 They grow from March to the end of summer and are usually eaten raw, added to salads for their peculiar, sharp flavour. The small leaves can be eaten, too; they are full of flavour and nutrients and can be used to make omelettes, salads and pesto sauces. 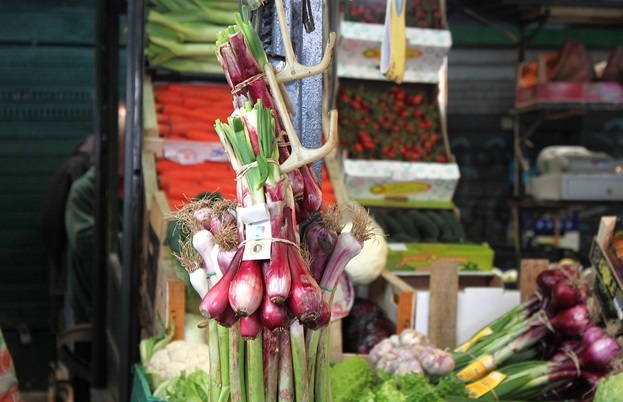 A sweeter and delicate alternative to ‘common’ onions, in Italian markets the small and white round bulbs are accompanied by the purple and slender spring onions from Tropea. These have a much milder flavour and are perfect to give sweetness to salads (when raw) and cooked recipes. The long, slender green tops are also edible when finely cut into small rings. Growing in northern Italy's valleys, wild hop buds called things like bruscandoli, carletti or loertis taste similar to wild asparagus but with a slightly bitter flavour. Delicious and healthy, the buds, leaves and the tender part of the stems are mainly used to make omelettes and risotto. 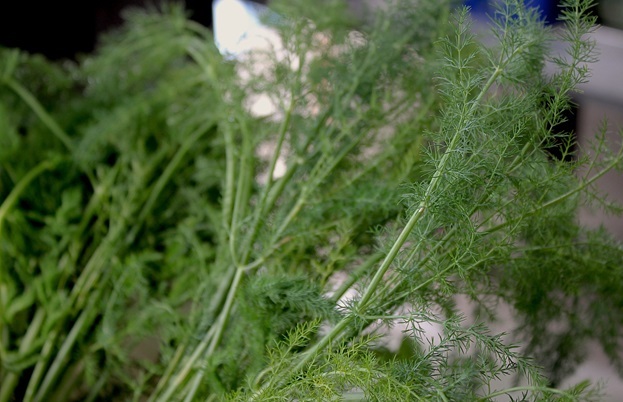 Mainly found growing in the south of the country, wild fennel is a perennial herb belonging to the same family of the regular white bulbs usually eaten raw or cooked. Throughout spring the tender tiny leaves can also be used to season cooked recipes or added raw to salads. In Sicily they are also used to make a delicious pesto with almonds and extra virgin olive oil, or the traditional rolled omelette called pisci r'uovo(‘fish egg’) for its oblong shape.